Is this really a hotel in Sardinia? Nature here has done almost everything...all the was left for us to do was to finish the job and to present you with your Mediterranean dream. The lush aroma of the Mediterranean maquis at your back is complemented by the crystal-clear sea in front of your eyes. In the middle stands the Stella Maris, a precious, colourful jewel, where the commitment of the whole team will make you feel very much at home in this corner of paradise. 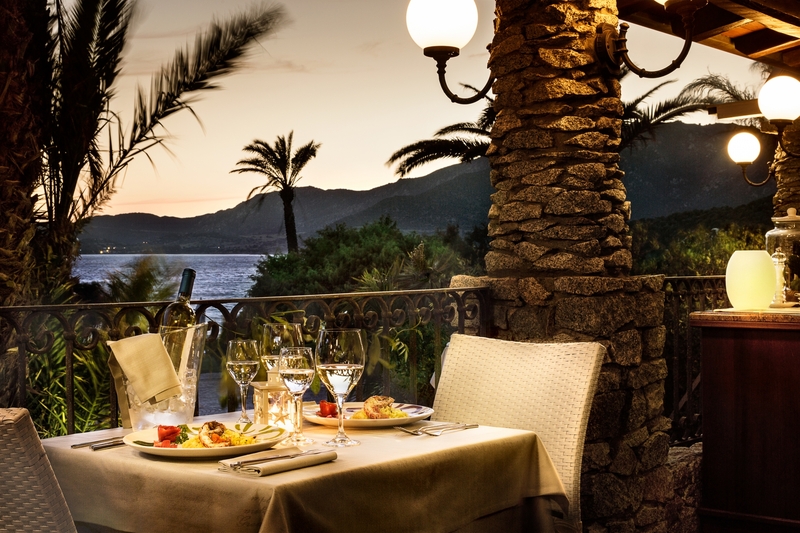 The Stella Maris, in Villasimius, extends a warm welcome to you, and will immerse you in an almost fairy-tale world that will engage all of your senses. On your arrival, you will be enveloped by a whirlwind of ancestral fragrances, carefully chosen by our General Manager, Vittorio – the silent craftsman of all the little details you will come across as you explore the property. The colourful walls, the soft lighting and the unusual curios scattered all around will make your stay an even more fascinating, inspirational experience. Once you have made your way through the lobby and the bar, you will be captivated by a scene of rare beauty, encompassing manicured gardens, a sea-view swimming pool and a wonderful private beach just 78 strides away. The 53 rooms, located across the 3 floors of the hotel, will be your home from home, with their coloured fabrics, intimate spaces and wealth of modern comforts. And, if you, too, are enraptured by the magical atmospheres of this place, you can take away with you a small souvenir of the Stella Maris, choosing from the extensive range of objets d’art and furnishings available in our boutique.